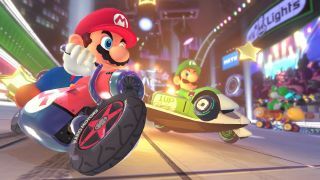 Just as we were crowing about the superiority of PC as a PlayStation 2 emulator, here comes some massive news from Exzap's WiiU emulation project, Cemu: Mario Kart 8 is actually running. Granted, it's not a perfect match to the original—the lighting and reflections in particular are off—and it should also be noted that the PC used to record the footage above contained a GTX 980 and an overclocked i7-4790K, but just two Cemu versions back most textures wouldn't display at all. I've never known an emulation project to make such rapid progress. The first public build was made available in October, with a substantial update applied every two weeks since. Cemu is still rudimentary, so don't expect to be catching up with Splatoon for years yet, but it's by far the most promising WiiU emulator out there.